Today is Monday, November 28, the 333rd day of 2016, with 33 days remaining. There are 23 days until the winter solstice, 26 days until Festivus, 27 days until the start of Hanukkah, 28 days until Christmas Day, 54 days until Donald Trump becomes president of the United States, and 710 days until the November, 2018 mid-term election. 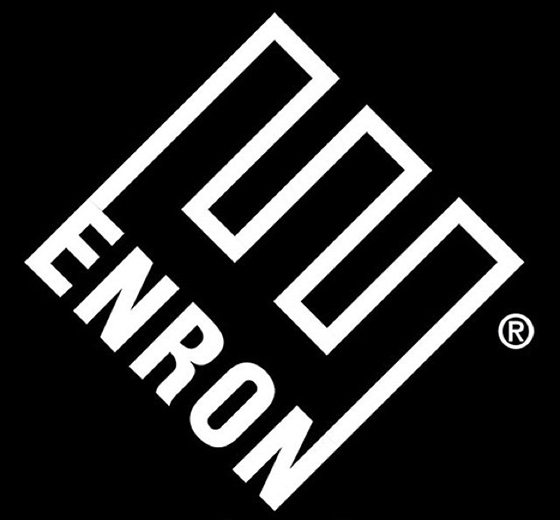 On this date in 2001, the financial house of cards known as Enron Corporation- the American energy, commodities, and services company based in Houston, Texas- collapsed when the public became aware of the millions of dollars of losses the firm concealed. The firm's stock price, which had opened at $3.90, lost almost 85% of its value and closed at 61¢. It was actually worse than that- if you had bought Enron when it peaked during the mid-day of August 23, 2000 at $90.75, on November 28, 2001 you had lost 99.37% of your investment. Among other things, today is also National French Toast Day. French toast. Also known as eggy bread, Bombay toast, German toast, gypsy toast, poor knights (of Windsor), or Spanish toast, it is made of bread soaked in milk, then in beaten eggs, and then fried, a variation from the traditional spanish dessert called Torrija. The earliest known reference to French toast is in the Apicius, a collection of Latin recipes dating to the fourth or fifth century; the recipe mentions soaking in milk, but not egg, and gives it no special name, just aliter dulcia- "another sweet dish." It was just your typical 3 a.m. street fight outside of a bar in Tampa until Florida Man went and ran everybody over. As of this writing, The KGB Quotations Database contains 42,411 entries. Check it out. Stefan Zweig, Austrian novelist, playwright, journalist and biographer. "Yes, the long war on Christianity. I pray that one day we may live in an America where Christians can worship freely! In broad daylight! Openly wearing the symbols of their religion... perhaps around their necks? And maybe- dare I dream it?- maybe one day there can be an openly Christian President. Or, perhaps, 43 of them. Consecutively." While Hillary Clinton's presidential campaign will participate in the Green Party's Wisconsin recount, President-elect Donald Trump claims he would have won the popular vote if not for 'millions of people who voted illegally.' And meanwhile, Americans continue to ignore reports from U.S. intelligence agencies that the Russian government actively interfered in our elections. Is the human mind unique? To find out, assemble a number of dogs in a laboratory. Animal cognition informs human cognition in strange ways. Unlike us, they are not messed up by the perspectives of others. On the other hand, this study would indicate dogs possess some version of episodic memory, which allows them to recall personal experiences, and not just simple associations between, for instance, sitting and getting a treat. If you're 70, single by choice, and have no siblings or children, you may find the health care system is not your friend. The Constitution lets the electoral college choose the winner. They should choose Clinton. The framers believed, as Alexander Hamilton put it, that “the sense of the people should operate in the choice of the [president].” But no nation had ever tried that idea before. So the framers created a safety valve on the people’s choice. Like a judge reviewing a jury verdict, where the people voted, the electoral college was intended to confirm — or not — the people’s choice. Electors were to apply, in Hamilton’s words, “a judicious combination of all the reasons and inducements which were proper to govern their choice” — and then decide. The Constitution says nothing about “winner take all.” It says nothing to suggest that electors’ freedom should be constrained in any way. Instead, their wisdom — about whether to overrule “the people” or not — was to be free of political control yet guided by democratic values. They were to be citizens exercising judgment, ?not cogs turning a wheel. Canada's Department of National Defence is investigating mysterious 'pinging' sounds at bottom of the sea in the Arctic. Submarines were not immediately ruled out, but were also not considered a likely cause. Guess they never saw the Director's Cut of The Abyss.